I have found some early 1900s books about shooting. Here are two of the website links. 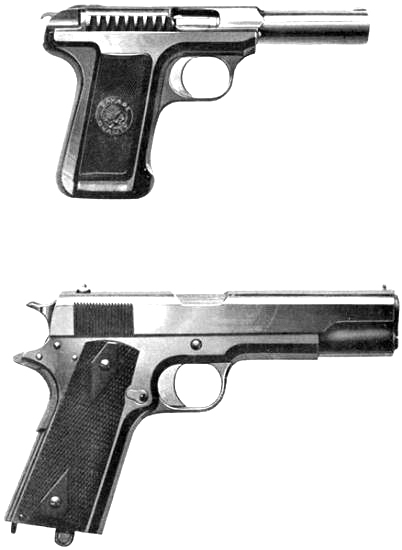 There are two makes which, from personal experience, I can recommend; one is the Colt .45 which has been adopted by the United States Government for army and navy purposes. This has a grip at the proper angle for shooting. Hardly any other automatic pistol is properly designed in this respect, their grips being too much at a right angle, so that the barrel tends to point too high, this creating a strain on the wrist, since the wrist must be held in an unnatural position. What does the forum think about the current validity of the subjects discussed in the shooting books on this website? "What does the forum think about the current validity of the subjects discussed in the shooting books on this website?"